• For Use In Homes, Garages and Kennels. 7 month protection against fleas flea eggs and flea larvae. Kills fleas ticks flea eggs flea larvae bed bugs mosquitoes cockroaches spiders ants and other insects. . . . 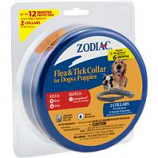 Kills fleas and ticks (including those carrying lyme disease) for up to 5 months. Kills flea eggs.. Continuous action even when wet.. . . Shiny coat and healthy skin. 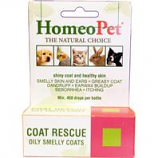 Provides relief from skin conditions causing smelly skin and ears dull/greasy coat and dandruff. Provides relief from dermatitis including flea bug and insect bites. Helps with itching and promotes healing of irritated scabs sores and hive-like red spots. . Note :- Thjis Product is Restricted to CA. • Kills Fleas, Flea Eggs and Ticks. • It Is Easy To Apply For Head To Tail Protection. • It Also Contains An Insect Growth Regulator. • Continuous Action Even When Wet. • Tangles Brush Out Easily; Leaves The Coat Clean, Soft and Shiny With A Fresh, Clean Smell. 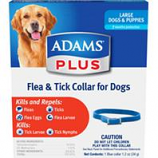 Kills and Repels Fleas, Ticks, Lice, Gnats, Mosquitoes & Flies, With Aloe Vera Extract, Lanolin & Sunscreens. • Do Not Use On Cats. Kills fleas ticks and repels mosquitoes. 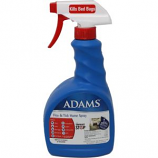 Prevents new flea infestations kills adult fleas before they lay eggs. Water resistant. . . Kills fleas ticks and lice. Repels mosquitoes. 1 size fits all (cut to size). Provides up to 12 months protections. Water resistant. • 31-60 Lbs. Kills Fleas, Flea Eggs and Ticks. All new feline furball formula. Relief from symptoms of furball such as vomiting retching hacking gagging and lack of appetite. It can also help with similar foreign body and digestion symptoms. . .
• Leaves No Lingering Odor. Relief from nasal and sinus infection. Relieves congestion runny nose sneezing and sinus. . . . Kills fleas deer ticks flea eggs and flea larvae. Kills and repels mosquitoes. Long lasting. 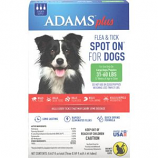 Rapidly eliminates fleas. For use on large dogs 31-60lbs.